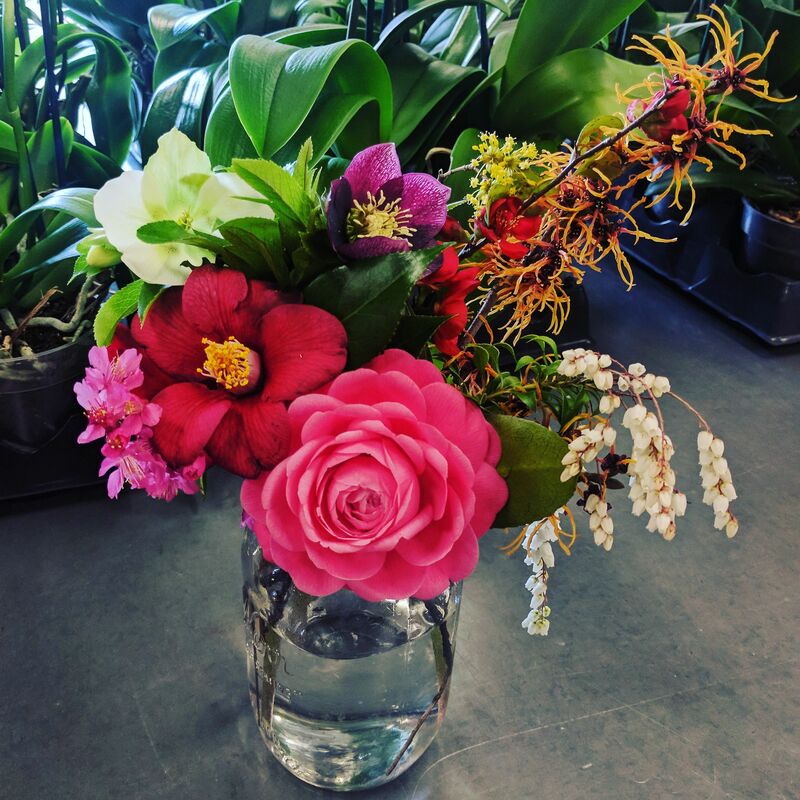 Winter bouquet: you’ll find all these and more blooming in the Gardens during the walk. Rain or shine! 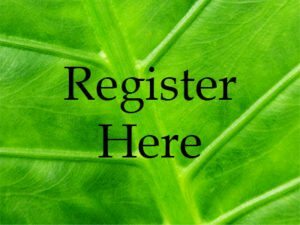 Registration suggested. Winter walks highlight the wonders of the gardens in the winter. Winter-blooming shrubs, intriguing evergreens, and plants with interesting bark and bright berries will be discussed. Children and families can join walks to see winter birds, animal tracks, and complete a scavenger hunt. 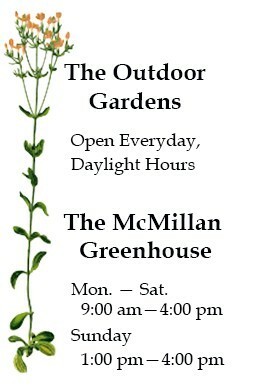 Note: Meet at McMillan Greenhouse to check in. Access to the trail is down a steep gravel path. Close toed shoes and appropriate attire for weather conditions are recommended.